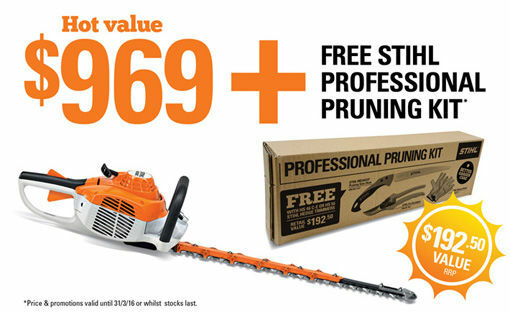 This Stihl hedge trimmer is robust and durable while still maintaining its lightweight practicality for easy operator use. With Easy2Start technology and Stihl anti-vibration system, tool-less fuel cap and the Stihl double sided cutter blades this Stihl hedge trimmer is ideal for domestic properties with a lot of hedges and shrubs. And also suitable for the professional contractors that will need a reliable machine to help you bring in your income. 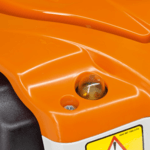 Stihl has revolutionised the way we start power equipment with their innovative Easy2Start system. Selected equipment like this one now feature an extra spring between the crankshaft and the rope rotor. 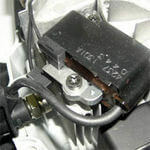 Less effort is required to pull the cord tensioning the spring against the compression resistance of the engine. With the spring automatically sending the power of the spring to the crankshaft making it turn for an easier start.